Here are a few important security issues related to moving into an older home and handy tips to keep burglars away. If you have recently moved into an older home with your family, start by first assessing the existing security options there and figure out a plan of action. Old homes have a special charm of their own that makes people want to buy them. The amazing craftsmanship, the vintage, but high-quality materials that are still in good shape, the story they manage to tell through every wall crack and hardwood floor squeak, and the history encompassed in them are reasons enough to seal a deal. But living in an old home might be easier said than done. While these properties are exquisitely beautiful, they oftentimes have a lot of shortcomings. Home security is one of them. Their security features are usually outdated and rendered useless, and they pose a lot of security issues and risks. 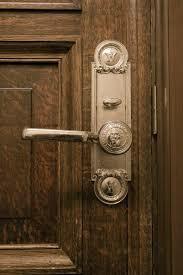 They require immediate upgrades such as new locks being installed, or safety alarm system replacement. Imagine you were a burglar trying to find out what is the easiest way of breaking into your home. Do your best and use the mindset of a burglar - if you've seen a few action movies, you should have no problem coming across a few entry points. Make a list with all the risks and potential hazards you can identify, including the vulnerable garage door that looks like it is about to fall off, or any ground-level windows that have no locks or security bars on them. Ask your spouse or a neighbor to help you test if you can see and communicate with potential visitors at your doorstep. You will need to consider installing a peephole or, if your budget allows you to, invest in a smart detection system. Call a professional locksmith in your area or get in touch with a security company and ask them to assess your current alarm system. The Get Locksmith team can help you figure out what are the greatest threats you are confronted with, and introduce you to the best solutions. All locks, windows, doors, garage, safe and other safety feature need to be inspected for faults. Outdated hardware should be identified and outdoor lights should be fixed, installed or upgraded in dark areas. Windows are the eyes of the house. They allow natural light, sunshine, and fresh air to reach into our homes. But they also serve a more practical purpose: to prevent potential burglars from breaking into our home. Old homes usually have windows with old wooden frames that tend to become damp and lose their strength and integrity over the years. The weaker the wood, the easier it is for intruders to make their way into the house with the simplest tools. Worn-out safety grills or small-keyed locks will not do much to keep you safe against neighborhood burglars. Older, but still efficient burglar alarms can also be easily defeated by crooks who know what they are doing. A lock technician will tell you what are the best locking mechanisms that will add more security to a property while leaving the design and feel of the building unaltered. For example, high security sliding window locks that are resistant to rust and can be moved from one window to another are an excellent choice. Home burglars know a cheap, poor quality lock when they see one. And they won't hesitate to take advantage of it. Even more advanced types of locks such as deadbolt locks will be tampered with in an attempt to forcefully enter a home. One excellent solution is the use of a modern security system that will issue warnings on phones whenever an individual is getting dangerously close to the house/gates. Smart locks work together with the old locks on your doors. You will, however, need to contact a home locksmith and ask them to install fresh sets of deadbolt locks, and have the interior deadbolts replaced. The best smart locks are battery-operated, which eliminates the need to worry about any wiring and boost home security. Outdated control panels and alarm sensors will most likely not work as expected in case they should warn you about someone trying to enter your home without your consent. Old wires that no longer work the right way may send false alarms or fail to send any alarms. Old homes usually come with old landlines with lots of wiring that can be easily cut by burglars. Plus, these systems may not meet the present state codes and standards required. Consider wireless security alarms and smart lights for each of your entrances. Old homes usually come with a garage. In order for a garage to work the right way, it needs to be constantly maintained. Garages that have not been in use for a few years will become automatic victims for potential burglars. Garage remote controls should be replaced, codes changed, and the option of a new garage door being installed should be considered as well. To make sure you are making the best choices possible, contact a professional locksmith and let them show you a list of upgrades and repairs they recommend. Compare their recommendations with your own list. While you may not need to immediately have everything replaced the second you move in, the sooner you beef up all home security features, the better. Contact Get-Locksmith today for help with all your lock related needs for your home, car or office!